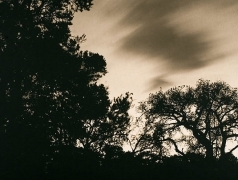 Joseph Bellows Gallery is pleased to present an exhibition of photographs by San Diego photographer, Scott B. Davis. 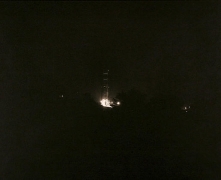 The exhibition will feature photographs from Davis's series Land of Sunshine and Nocturnes, and will be on view from March 21 through May 3, 2008. An opening reception with the artist will be held on Friday, March 21(6-8 pm). 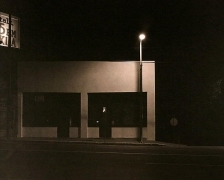 In 2001, Davis began a series of photographs in the Los Angeles basin, at night. 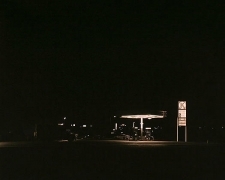 This series, Land of Sunshine, emerged from a longer project photographing American deserts at night, called nocturnes. 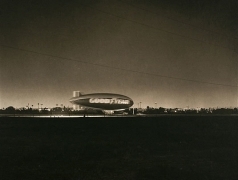 His work in Los Angeles took on aesthetic similarities to that in the desert, namely a feeling of absence and open space. 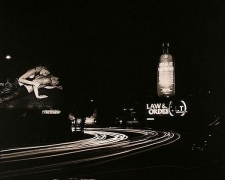 Davis's work has expanded beyond the L.A. basin, to San Francisco, San Diego, Las Vegas, and Tucson. His photographs are an exploration of absence in the urban world—a view of emptiness in places that are generally seen as full. 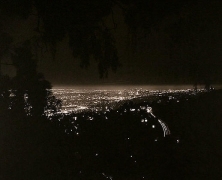 Made with a 16 x 20 inch view camera, the artist built himself, and printed in platinum, Davis's night photographs are quiet, moody images that allow the viewer to experience the feel of the landscape after dark. 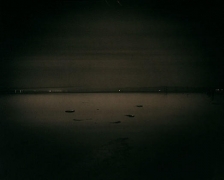 Davis completed a BFA in photography from the University of New Mexico in 2000. His photographs have been widely exhibited and are in the permanent collections of the George Eastman House, Rochester, NY, the Nelson-Atkins Museum of Art, Kansas City, MO, the Santa Barbara Museum of Art, Santa Barbara, CA, and the Museum of Photographic Arts, San Diego, CA.